At Island Pride Jamaican Restaurant, only the best is good enough! Jamaican food is a healthy choice that doesn't sacrifice on taste or flavor. Island Pride Jamaican Restaurant is a Jamaican restaurant located in Rockville, MD. Island Pride Jamaican Restaurant serves traditional Jamaican delights such as curry chicken and jerk chicken. Jamaican food is famous for its spicy, tasty flavors. Jamaican cuisine tends to be healthier than traditional food choices for several reasons. First, many of the dishes are made with unprocessed foods. Second, most meals are served as smaller portions. Finally, most Jamaican dishes consist of beans, vegetables, fish, and other natural ingredients and spices. 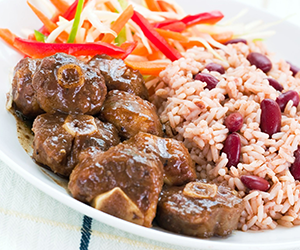 Many consider Jamaican to be a mix of the best of European, Chinese, African, and Indian culinary influences. It just so happens that many of Jamaican dishes are flavored with spices and seasons shown to have noticeable health benefits. 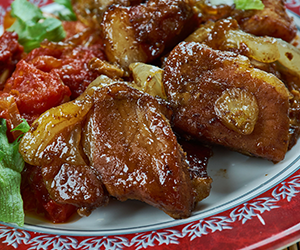 It certainly doesn't hurt that Jamaican dishes are simply delicious. Come in today or place and order and you won't be disappointed. Even if you're new to the world of Jamaican dining, you'll find plenty to sample and enjoy on the menu. 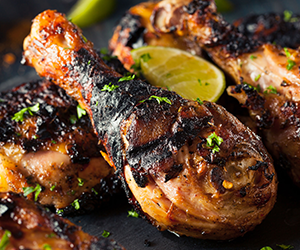 Experience the best traditional Jamaican cooking you'll ever taste, from delicious curry chicken best served with fresh Naan bread to sweet, tangy, and spicy jerk chicken. Call us at (301) 315-2668 to make a reservation or place an order at our Rockville, MD location. Ask how you can get 10% off all orders of our 100% authentic Jamaican food!